Ah strawberries… what other fruit could possibly be more Summer-y? And what could be more delicious than seeing how many of these fragrant fruits you could jam (no pun intended) into a cake? 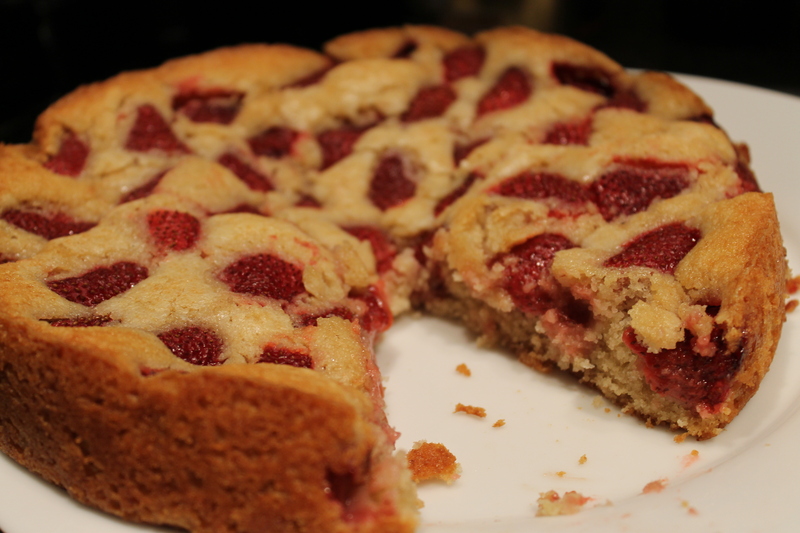 As it has been immensely popular, I borrowed Deb’s recipe for Strawberry Summer Cake from smitten kitchen (thanks!). Grease a 9″ deep dish pie pan, springform pan, or cake pan. 10″ would work as well. In a smallish bowl, combine the flour or flours (I opted for the AP + barley option), baking soda, and salt. In a larger bowl (or the bowl of a stand mixer, if you have one), mix 1 cup of the sugar and butter together until light and fluffy. Add the milk, egg, and vanilla, and mix until just combined. 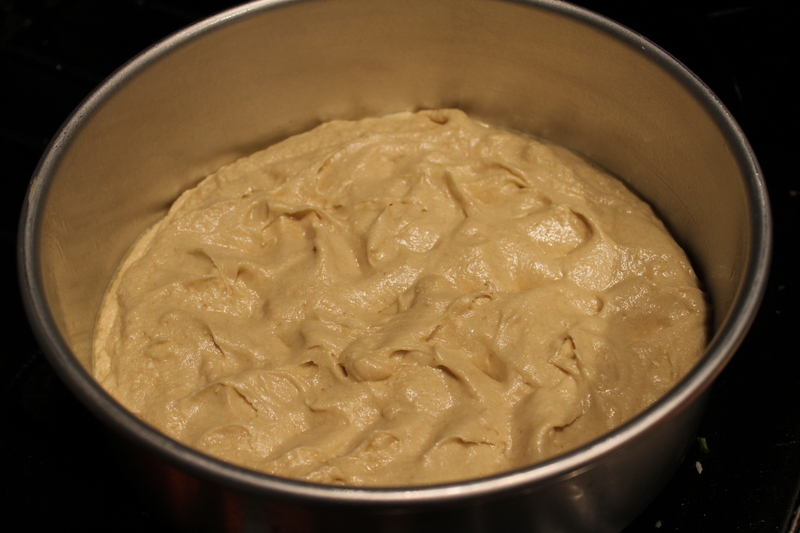 Slowly, add the dry ingredients to the wet ingredients, until the batter has just come together. 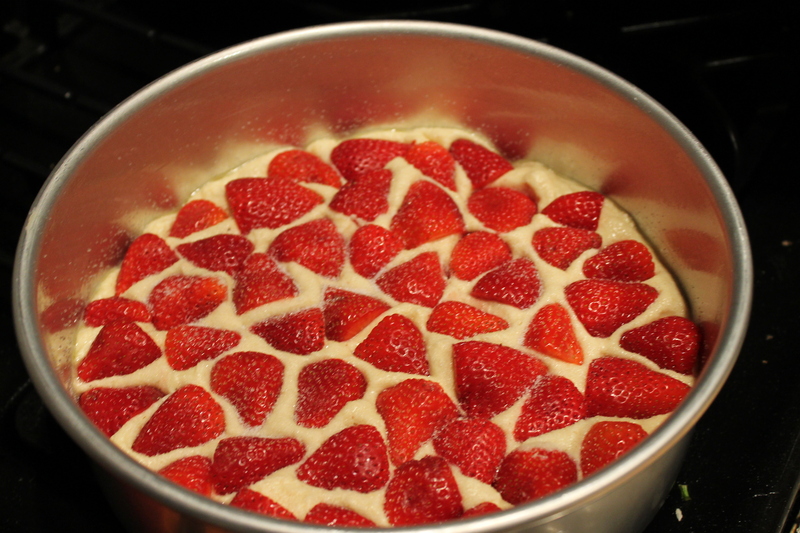 Pour the batter into the awaiting pan, then press the strawberries into it in one even layer (if some strawberries won’t fit, I guess you can just have a little pre-cake snack). Put the pan in the oven for 10 minutes, then reduce the heat to 325 and bake for an additional 50-60 minutes, or until a tester comes out clean (or “clean” and covered in strawberry). Allow the cake to cool, then either serve straight from the pan, OR attempt to transfer it from the pan to a plate… no easy task. I just barely made it AND lost a bit of the bottom of the cake. Oh well, it is still absolutely delicious. This entry was posted in Berries and tagged dessert, smitten kitchen, strawberry, strawberry cake, summer. Bookmark the permalink.